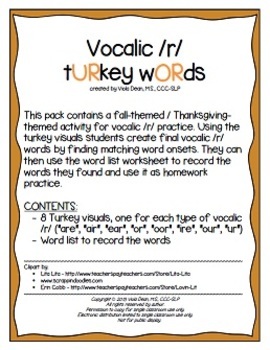 This pack contains a fall-themed / Thanksgiving-themed activity for vocalic /r/ practice. 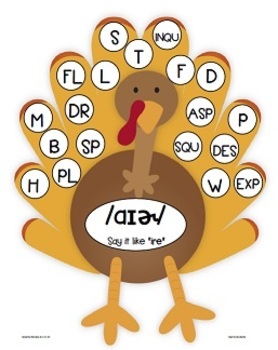 Using the turkey visuals students create final vocalic /r/ words by finding matching word onsets. 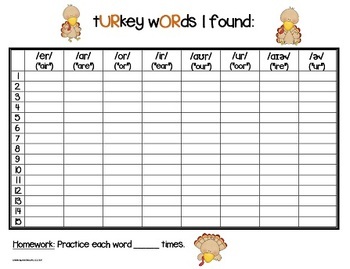 They can then use the word list worksheet to record the words they found and use it as homework practice. 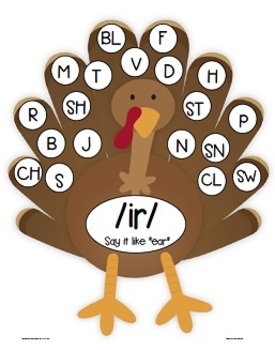 I made this for my students in Speech therapy. Halfway through making this, I realized that these visuals might also work well with Chipper Chat.